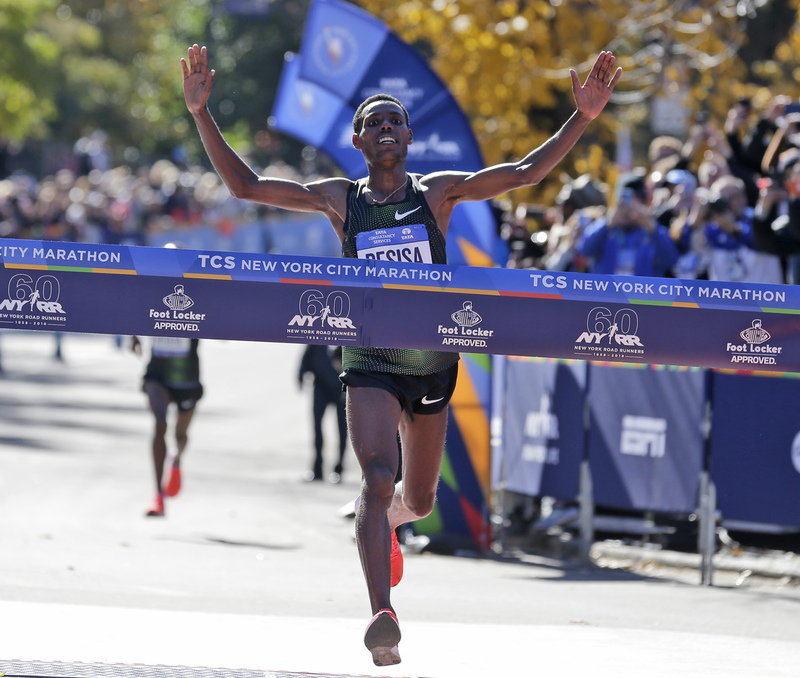 Lelisa Desisa of Ethiopia, Kenya's Mary Keitany Win NYC Marathon In a field topping 50,000, the annual race saw a lot of firsts. 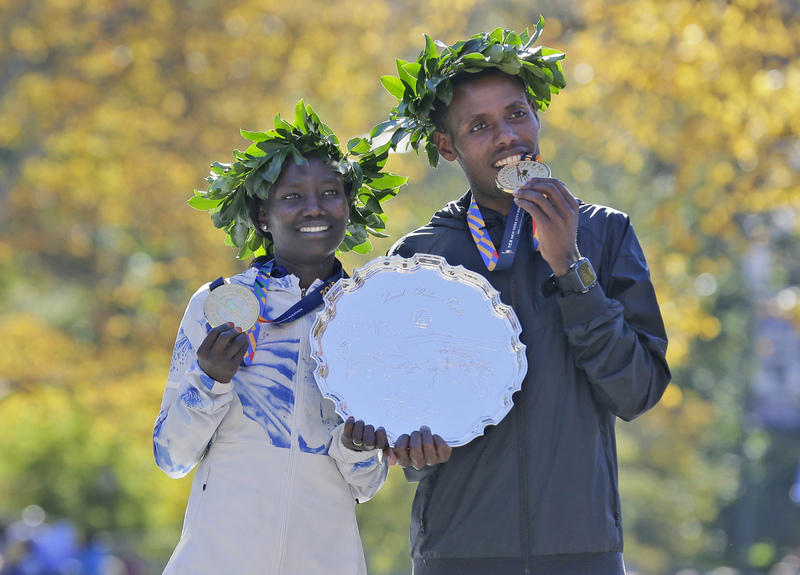 Desisa of Ethiopia won his first NYC Marathon and Kenya's Keitany became the third person to win the race four times. First place finishers Mary Keitany of Kenya, left, and Lelisa Desisa of Ethiopia pose for a picture at the finish line of the New York City Marathon on Sunday. At the New York City Marathon on Sunday, the race's top long-distance runners greeted an ideally brisk and sunny fall morning with near record times. It was a day of many personal firsts, as a field of more than 50,000 sought to push their way through the city's five boroughs in the annual race. Lelisa Desisa of Ethiopia won the men's race — his first in New York — in 2 hours, 5 minutes, 59 seconds. Lelisa Desisa, of Ethiopia, crosses the finish line first in the men's division of the NYC Marathon. "This is my dream," Desisa, 28, said after the race, The Associated Press reported. "To be a champion." Shura Kitata, also of Ethiopia, took second place in the men's race with a time of 2:06:01. Last year's title defender, Kenya's Geoffrey Kamworor, was favored to win going into the race, but ultimately placed third with a time of 2:06:26. 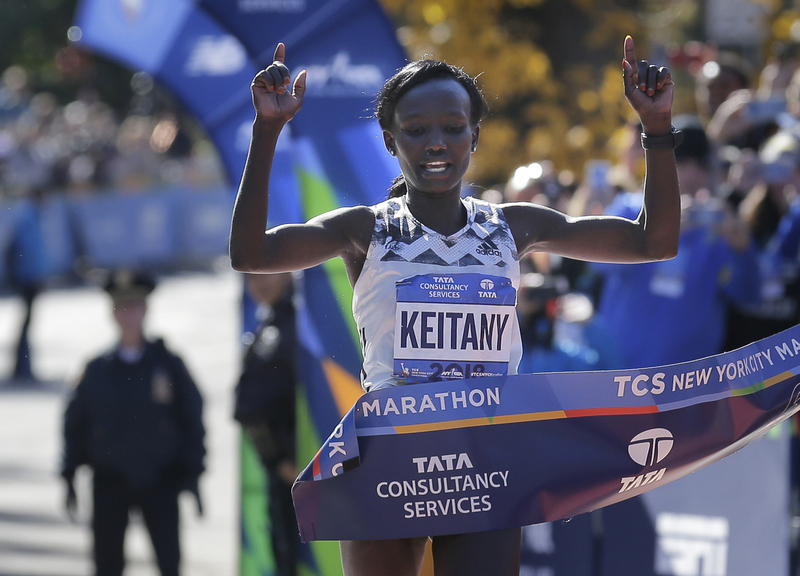 In the women's race, fellow Kenyan Mary Keitany, 36, became the third person to win the NYC marathon four times, according to The New York Times. She ran the course in 2:22:48, the second fastest time for a female runner in NYC marathon history. Kenya's Margaret Okayo's record of 2:22:31 from 2003 remains unbroken. Mary Keitany of Kenya is first to finish the women's NYC Marathon. Keitany said that setting a course record was never on her mind, according to the AP. She just wanted to win. "For me, winning was the most important," she said. Keitany outran Vivian Cheruiyot, 35, of Kenya, who came in at 2:26:02. American Shalane Flanagan, 37, who finished third with a time of 2:26:22, ran faster than last year when she won the race. 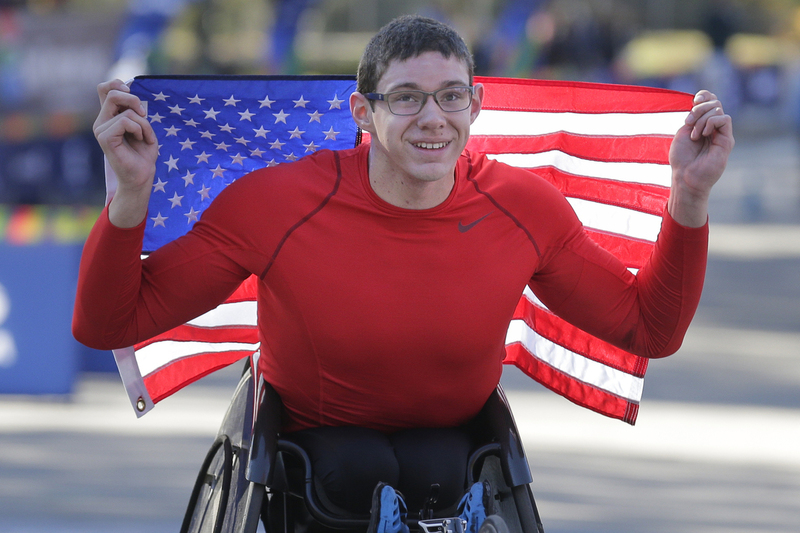 In the wheelchair division, Daniel Romanchuk became the first American to win the men's race, finishing in 1:36:21. Switzerland's Marcel Hug trailed about one second behind Romanchuk, followed by David Weir of Britain, to round out the top three. Daniel Romanchuk of the United States poses for a picture after crossing the finish line first in the men's wheelchair division. Manuela Schar of Switzerland won the women's wheelchair division for the second time, at 1:50:27. Tatyana McFadden of the U.S. finished as runner-up at 1:50:48 and Lihong Zou of China came in third.